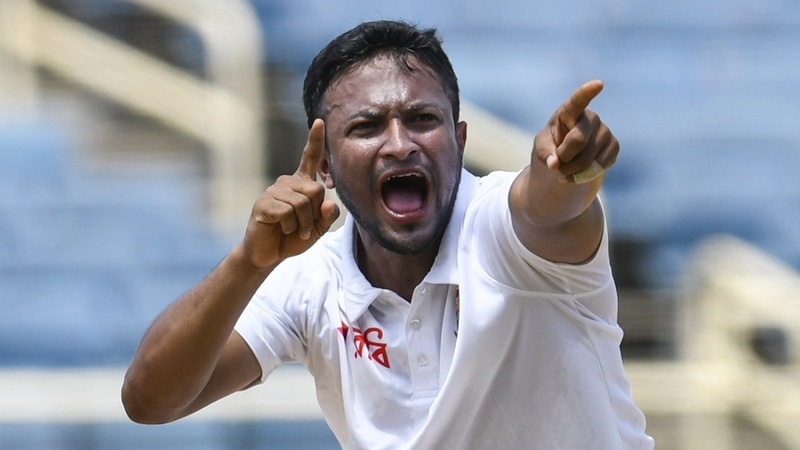 Bangladesh’s senior players, including Shakib Al Hasan, have become reluctant to play Tests in the aftermath of their recent 2-0 Test series defeat against West Indies, according to BCB president Nazmul Hassan. Hassan emphasised that the players’ unwillingness was in tune with the modern trend among most cricket boards and broadcasters, whose interest in the format has also been on the slide. In his now regular post-series briefing, Hassan said that the future of the Bangladesh Test team depended on blooding in new faces to fill the gap that will be created when the senior players near retirement. But he also mentioned the task will not be easy as all of the established players have been performing for a number of years, and have done poorly only in the West Indies where Bangladesh lasted only five days in the two-Test series. Hassan also named Mustafizur Rahman among those reluctant to play Tests, although he stated that the fast bowler never told him so. “Even in the ICC, I don’t see any other country other than England and Australia showing interest to play Tests,” Hassan said. “As a board, they are not interested in Tests. The broadcasters are also not interested. They say they don’t have any interest where there is no audience. The BCB had granted Shakib’s request for a break during the Test series in South Africa last year. Shakib has been the only Bangladesh player to have put in such a request. Hassan declared that Mustafizur, who missed the Afghanistan T20s and the West Indies Tests due to an injury he picked up while playing for Mumbai Indians in the IPL, will not be given any NOCs to play foreign leagues. “The saddest part is that he gets hurt playing franchise leagues, and then can’t serve the country. It is not acceptable. I have already told him that he can’t play outside for the next two years,” Hassan said. He said that the BCB was focused on finding more specialist Test and T20 players, but admitted it was hard for practical reasons to drop their core senior players. “We have to form a new set-up for Tests. I have been saying it for the last four years. We must have three or four players in common; all the international teams are doing this. Everyone has specialist T20 and Test players. We only have Mominul [Haque] for Tests. We need to develop five or six of them. “We have Tamim [Iqbal] and another opener, plus three pace bowlers and a spinner. You can’t change Shakib, Mushfiqur [Rahim] and [Mahmudullah] Riyad. Mominul plays at three. You can’t drop him for doing poorly in one series. So, for this No. 7 position we have Mosaddek [Hossain], Sabbir [Rahman], [Mehidy Hasan] Miraz, etc. Previous articleWhich political party is winning at Google (Trends)?